Further to the telecast of USS Nimitz documentary series by PBS last month, it is now the turn of Channel Five to telecast Warship Documentary series of light aircraft carrier HMS Illustrious of the Royal Navy.The 26 year old ship is also known as ‘Lusty’ to her 1000 strong crew. The documentary series will be telecast in six episodes on every Monday at 2100 hours starting from May 19. 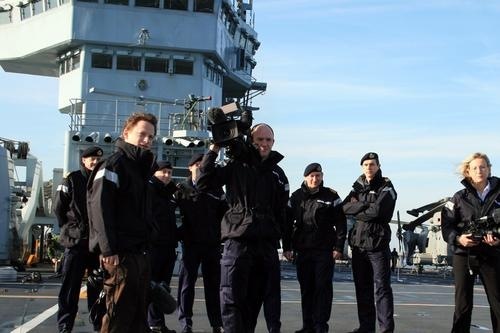 The series was filmed by Channel Five during her four month deployment that commenced in January 2008. This episode briefs about Illustrious’ history, her sailing from Portsmouth in January and embarkation of Royal Navy Harrier Jump Jets in the Indian Ocean, who are coming onboard for training before flying off to the war in Afghanistan. Lusty’s crew demonstrate their battle readiness and their way to Malta. HMS Illustrious’ deployment in sun soaked Middle East, navigation through the narrow Suez Canal and the ship’s preparedness to counter any potential terrorist attack. Visit of Commander-in-Chief Admiral Mike Stanhope, the arrival of Harrier jump jets and a helo transfer to visit a Spanish frigate. The Harrier jump jets vertical take-offs, an Anti Submarine Warfare exercise with HMS Trafalgar and the ship’s company visit to Goa. More details are here and more photos of HMS Illustrious are here. The first episode is available here in five video clips at thelastofthefew blog. 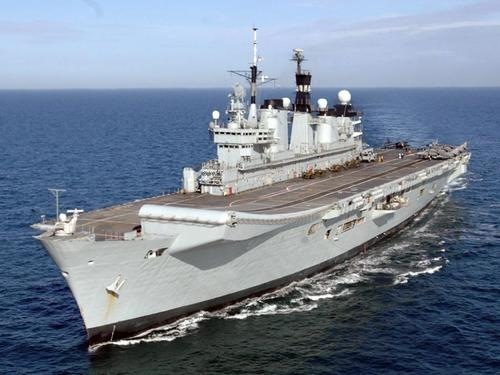 HMS Illustrious will be opened to visitors from July 25 – 27 at Portsmouth Naval Base during ” Meet Your Navy ” event. Her recent mission to the Indian Ocean has attracted more than 1.5 million viewers on the weekly Warship programme screened in Channel Five. Read more from royal-navy. If you have missed the Channel Five series, nothing to worry. The series is running again on Ch5 from Sunday June 29 at 1300. Read more from royal-navy.